MASON CITY | The investigation into the disappearance of Jodi Huisentruit 20 years ago remains active, Mason City Police Chief Mike Lashbrook said Wednesday. "As disappointing as it is not to have a resolution to this 20 years later, we are still very committed to this investigation and will always be until Jodi is found and whoever is responsible is held accountable," said Lashbrook. The Police Department, the Iowa Division of Criminal Investigation and the Federal Bureau of Investigation have worked together as leads have developed. Anyone with any information is asked to contact the Police Department at 641-421-3636. Lashbrook is asking the public to take a moment on Saturday, June 27, to remember Huisentruit, her family, friends and co-workers. In tribute to her, researchers with www.findjodi.com will host a "Walk for Jodi: Finishing the Journey" at 10 a.m. Saturday. The walk is open to the public and will begin at Riverside Friends Church, 527 N. Kentucky Ave., across the street from Key Apartments, where Huisentruit lived. It will proceed for about a mile before ending at the KIMT television station. Researchers say the walk is intended to finish Huisentruit's journey to work, where she was headed when she disappeared. Huisentruit was legally declared dead in 2001. 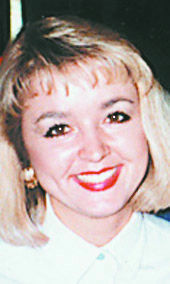 Huisentruit, a morning anchor for KIMT-TV, who was 27 at the time, disappeared on the morning of June 27, 1995, and is believed to have been abducted. As someone who knew Jody and her family PLEASE stop trotting her out whenever there's a need to sell more papers. Jody is gone, is missed and it's time for this paper to give her some peace. Her hometown paper doesn't celebrate the anniversary of her death and this paper needs to stop this practice. This newspaper needs to stop trotting Jody out whenever it needs a boost in sales. As a friend of Jody and her family I can say she and they would not want the anniversary of her death observed in this manner. Her hometown paper has the decency to not do this and this paper needs to stop grasping at her coattails for sales. Jody is gone and is missed please this practice.